One running dips into the salty stuff, from supplementation, to how much you need, to where that post-run salt layer comes from. Have you ever finished a long summer run and experienced a powerful craving for salt? This happened to me for the first time this past winter while training for my first marathon. I came home from a 17-mile trail run on an unusually warm winter day and proceeded to clear out our cabinets of every salty snack I could find. Then I looked in the mirror and noticed that my face was powdered with a fine white film. What was going on? It turns out, this novice marathon runner had no idea how much sodium one can sweat out while running long distances under the sun’s strong rays. Hence, the white layer of salt on my skin and the uncontrollable cravings for pretzels. But wait: Isn’t salt bad for you? 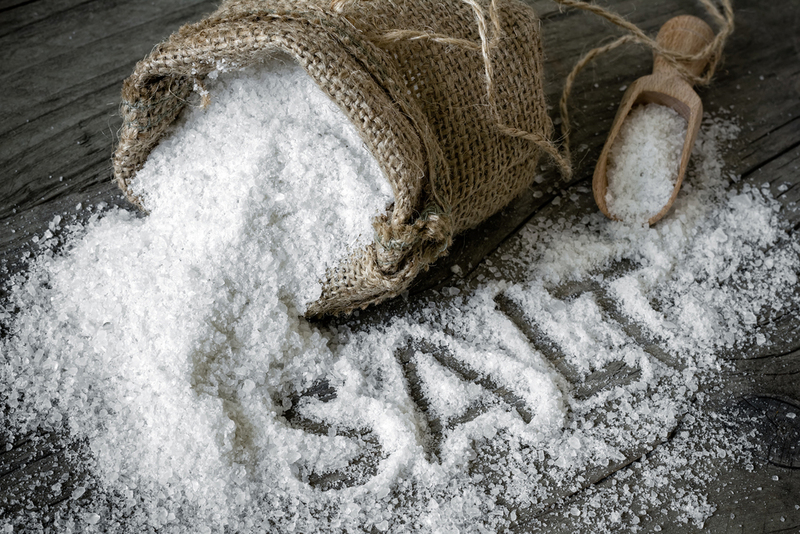 Wouldn’t getting rid of a little extra sodium be a boon to your health? Not so fast. 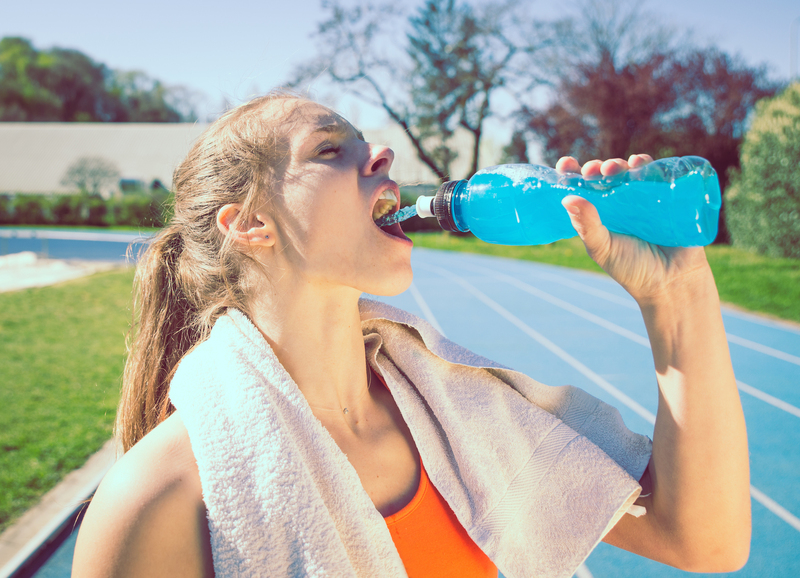 Sodium is one of five electrolytes important to staying hydrated. And when you sweat out buckets of sodium, your body is unable to maintain hydration levels in spite of how much water you may be drinking during your run. “Sweat typically has about 1,000 mg of sodium per liter,” explains SaltStick Operations Manager Matthew Diffenderfer. That amount is difficult to replenish with sports drinks, since a bottle contains an average of 440 mg of sodium per liter. But consuming massive amounts of liquids while running can be a challenge, and dehydration is nothing to shake a salt stick at when you’re a runner—it can leave you feeling weak, lightheaded and cramping. Karl King, Founder, President, and Principal Scientist of S! 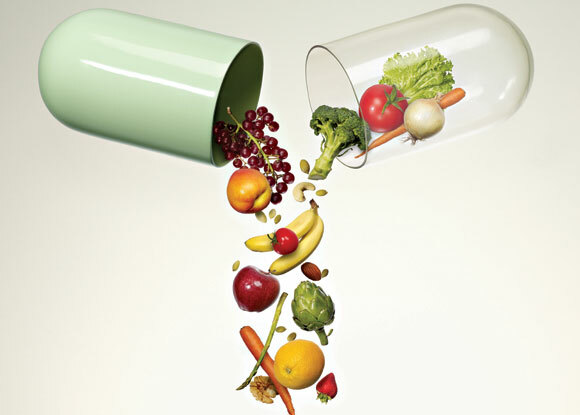 Caps and other supplements for athletes, knows that from experience. He invented his brand of sodium supplements in 1994 after he ended up in the emergency room post-ultra-marathon. During a 50-miler, King suffered from hyponatremia—a condition that occurs when sodium content in the bloodstream drops too low—and vowed to never let it happen to him again. Using his chemistry background, King designed S! Caps to help the body replenish electrolytes during prolonged physical exertion. So are the supplements just table salt? Salt supplements contain sodium, but they also include the other electrolytes critical to hydration: potassium, chloride, bicarbonate and phosphate. The formulas mimic the electrolyte composition of human blood plasma, so that they merely replace what’s lost through perspiration. Should you try salt supplements? King says if you’re running for 2-3 hours or a half marathon distance or more, salt caps are a good idea. While the amount you should take varies depending on how much you sweat, how hot it is—which will increase perspiration rates—and how far you’re running, he generally recommends about one S! Cap per hour. Diffenderfer suggests one SaltStick capsule for every 30-60 minutes of exertion. And sodium supplements aren’t just for runners. They’re also great for cyclists or other endurance athletes sweating out sodium for long periods of time. If you’re running for more than an hour, perspire profusely, and feel weak or sick during workouts and concerned you might develop hyponatremia, Lieberman recommends you talk to a sports nutritionist or doctor to get a recommendation tailored to your specific needs. Lieberman also has her reservations about sodium and electrolyte supplements, noting that your body doesn’t digest them as quickly as sodium naturally present in food. In some individuals, these supplements may actually cause stomach problems, exacerbating the state of dehydration. She suggests trying to up your sodium intake pre- and post-run with, say, a peanut butter sandwich, which will clock in at around 200 mg of sodium, or pasta with marinara sauce. During your workout, Lieberman recommends mixing an organic electrolyte mix into water to sip. After a little bit of research, I tried a sodium supplement during my biggest training run before the race. An hour and a half in, I took one cap with a swig of water and found that I experienced far fewer side stitches than normal and didn’t feel as weak as I expected after such a grueling workout. I still wanted salt after the run, but it was a more moderate craving. During the marathon, I took a sodium supplement at the halfway point and enjoyed a cramp-free race. The next time I rack up big miles, I might try Lieberman’s way: pre- and post-fueling with sodium, and sipping water with an organic electrolyte mix while running. If you’re running long distances this summer, replenishing your sodium levels is definitely important to hydration and preventing conditions like hyponatremia. Sodium supplements can help you maintain healthy hydration while running—as well as diminish that pesky hunger for nachos after pounding the pavement or trails. If you’d rather tackle sodium replenishment without supplements, try upping your sodium intake pre- and post-run through healthy sodium-rich foods, and drink water with electrolytes during long runs.